The traditional picture of a college dormitory includes small rooms, quiet hours and the ever-present roommate. A setting designed around a student’s need to sleep and not much else. That scene is changing, especially at Campbell University where the ribbon was cut today on its newest residence hall (not a dorm), Luby Wood Hall. 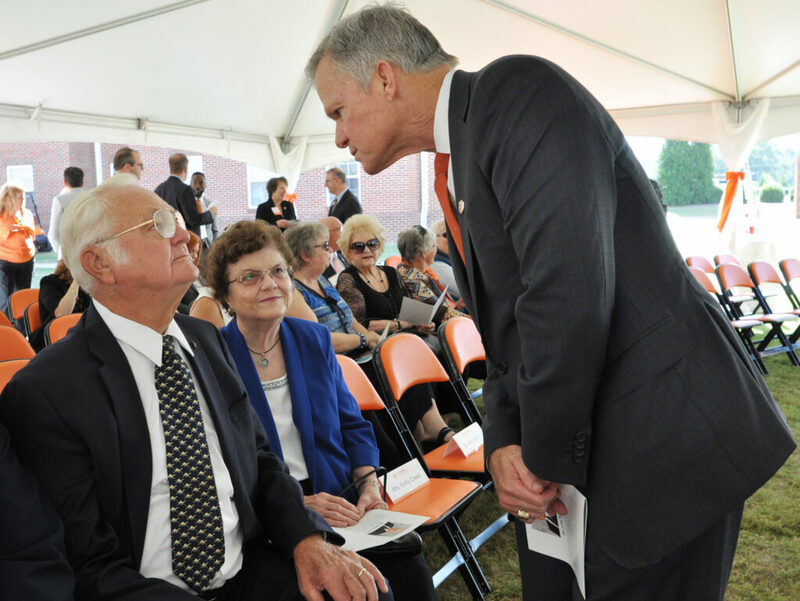 “Campbell University along with other schools have constructed housing facilities that offer students so much more than just a place to sleep,” said Vice President for Student Life Dennis Bazemore during the dedication ceremony for the new building. Vice President for Business and Treasurer Jim Roberts shared details from a campus-wide survey distributed to undergraduate students living on campus before the project began. Framed as a “Design Your Own Residence Hall,” the survey covered topics like room logistics, shared bathrooms, and study space requirements. More than 900 responses were taken into consideration to create the 63,800 square-foot facility that sits just inside the eastern entrance to Campbell’s main campus. The four-story residence hall features 174 single or double occupancy rooms with private sleeping quarters, three full-size kitchens with appliances, laundry facilities, a Provisions-on-Demand (POD) store, a bicycle garage, meeting rooms and lounging areas. Known for their support and dedication to Christian higher education, Luby and Catherine Wood have been loyal friends of Campbell University for many years. Luby Wood is a retired executive of the Lowe’s Corporation and is a successful entrepreneur with multiple farming, land and business interests. He and his wife Catherine, a former staff nurse in orthopedics and neurology at Gaston Memorial Hospital, have invested their time and resources in Campbell through their support of major building projects such as theJohn W. Pope Jr. Convocation Center, the Catherine W. Wood School of Nursing, the Robert H. and Anna Gardner Butler Chapel and Mr. Wood’s service on Campbell’s Board of Trustees. In 1999, he received Campbell’s prestigious Presidential Medallion, given to those individuals whose lives exemplify the Christian character, morality and commitment demonstrated by each of Campbell’s presidents. The Woods are active members of Trinity Baptist Church in Raleigh. 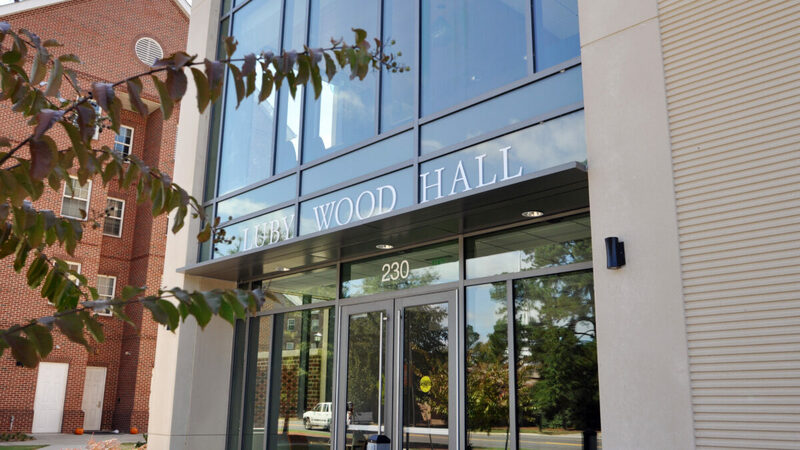 Mr. Wood is currently serving his fourth term on Campbell’s Board of Trustees (2002-2005; 2007-2010; 2012-2015; 2017-2020) and has served as a member of the Executive and Investments Committees.